Published by Crooked Cat Books on the 8th January 2014. Was this what really happened to Romeo & Juliet? Think you know the world’s most famous love story? Think again. What if the story of Romeo & Juliet really happened – but not quite in the way we’ve all been told? This part-prequel, part-sequel to the original tale, told from the point of view of the Friar, tells how an ancient Italian manuscript reveals secrets and lies which have remained hidden for hundreds of years, and casts new doubts on the official story of Shakespeare’s famous star-crossed lovers. If you love the Romeo & Juliet story but are disappointed with the way it ended, this is the book for you. The Ghostly Father is the fourth William Shakespeare retelling I have read in the past few years. I love the idea of giving his iconic plays a new lease of life through the novelised form although I have had a bit of a hit and miss experience with the ones I had previously read. For this interpretation of the tragic Romeo and Juliet romance Sue Barnard chose to use the point of view of one of the supporting characters, Friar Lawrence (here named in Italian as Fra. Lorenzo), to tell her tale. I liked that he was therefore slightly removed so we could get a wider perspective and, being a friar, it made sense for so many people to trust the one man with their secrets. Barnard's deviation from the Shakespeare original is cleverly plotted. I was impressed with how her new direction seemed to flow seamlessly from the traditional tale. It felt as though we had taken a step back in order to see the full picture whereas previously we had only been given a narrow view! The story keeps up a pretty rapid pace throughout so is an intriguing and exciting read. I would have preferred a much stronger sense of its historical setting and got annoyed with frequent historic and geographic inaccuracies which snapped me out of the atmosphere. Also, Fra. Lorenzo has an infuriating habit of mansplaining things that the characters to which he is speaking would already have known! 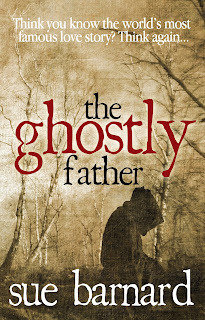 As a historical fiction novel, I was initially disappointed with The Ghostly Father, but when I could reimagine it into a sort of any-time fairytale period, I very much enjoyed the actual story. Sue Barnard is a British novelist, editor and award-winning poet. She was born in North Wales some time during the last millennium, but has spent most of her life in and around Manchester. After graduating from Durham University she had a variety of office jobs before becoming a full-time parent. If she had her way, the phrase “Non-Working Mother” would be banned from the English language. Her mind is so warped that she has appeared on BBC TV’s Only Connect quiz show, and she has also compiled questions for BBC Radio 4's fiendishly difficult Round Britain Quiz. This once caused one of her sons to describe her as "professionally weird." The label has stuck. Sue speaks French like a Belgian, German like a schoolgirl, and Italian and Portuguese like an Englishwoman abroad. She is also very interested in family history. Her own background is far stranger than any work of fiction; she would write a book about it if she thought anybody would believe her. 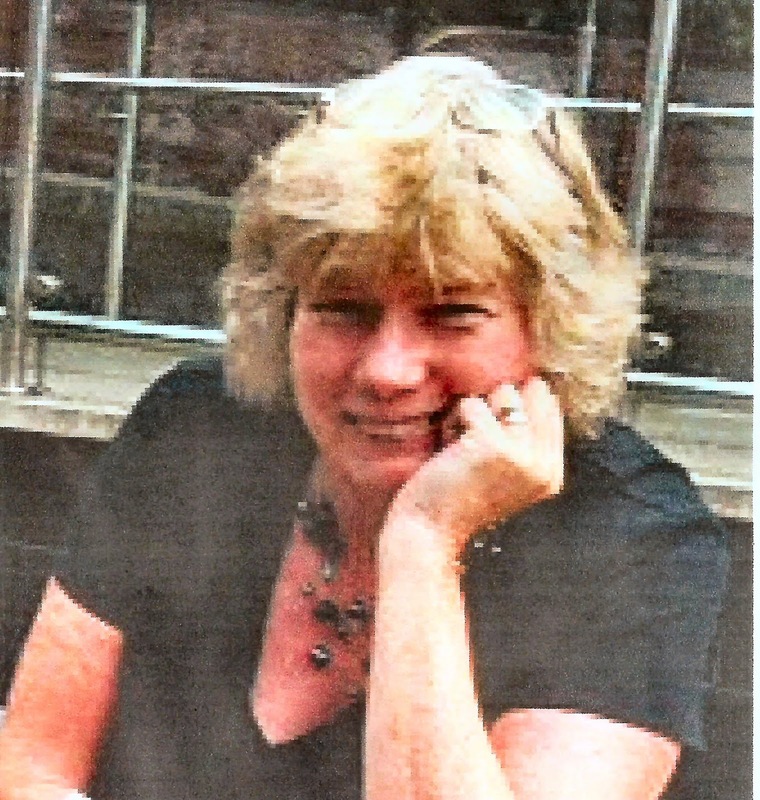 Sue now lives in Cheshire, UK, with her extremely patient husband and a large collection of unfinished scribblings. 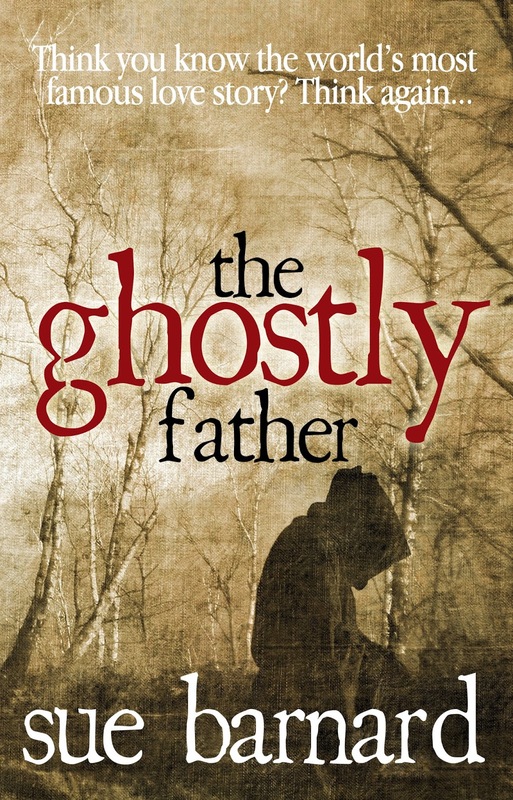 Win a signed copy of The Ghostly Father (UK Only). Open until the 16th February 2019. *Terms and Conditions –Worldwide entries welcome. Please enter using the Rafflecopter box above. The winner will be selected at random via Rafflecopter from all valid entries and will be notified by Twitter and/or email. If no response is received within 7 days then Rachel's Random Resources reserves the right to select an alternative winner. Open to all entrants aged 18 or over. Any personal data given as part of the competition entry is used for this purpose only and will not be shared with third parties, with the exception of the winners’ information. This will be passed to the giveaway organiser and used only for fulfilment of the prize, after which time Rachel's Random Resources will delete the data. Rachel's Random Resources is not responsible for despatch or delivery of the prize. What an intriguing concept. I have to add this one to my list. Thanks for posting this. How interesting! I like the idea of Shakespeare retellings. It's fun to get a modern perspective on such old stories, especially when this shows that people really haven't changed at all!